Waltham marks early 21 and 23 Jewel Vanguards "Ruby" Jewels. At right is a photo of the only Crescent Street reported to date marked "Ruby" Jewels. It is from run 7450601-7451000. 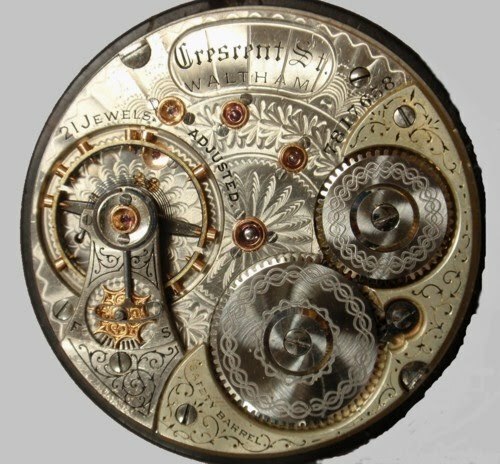 Five other movements have been reported from the run but with no indication of the "Ruby" marking. 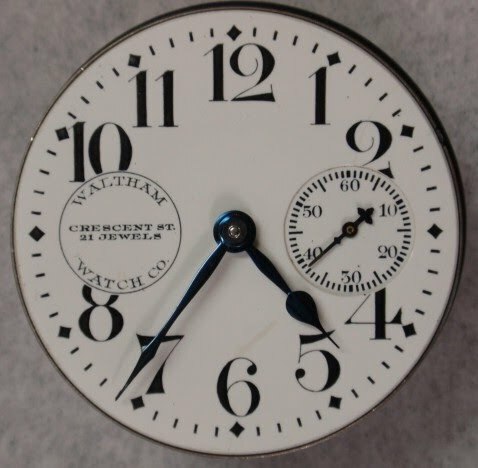 This is another attempt by Waltham to use up existing inventory. 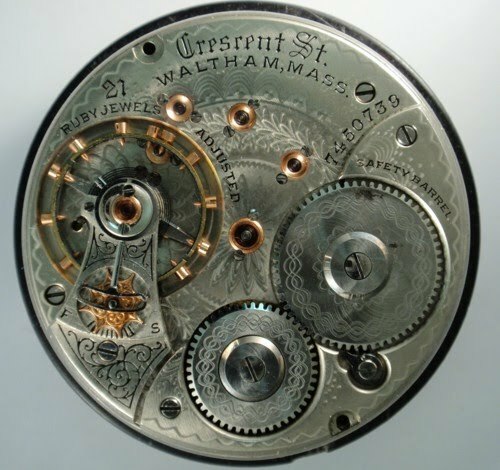 By using a dial with the seconds bit at 3 o'clock, a hunting case movement could be used as an open face movement. These dials are also found on Vanguard and 845 movements. 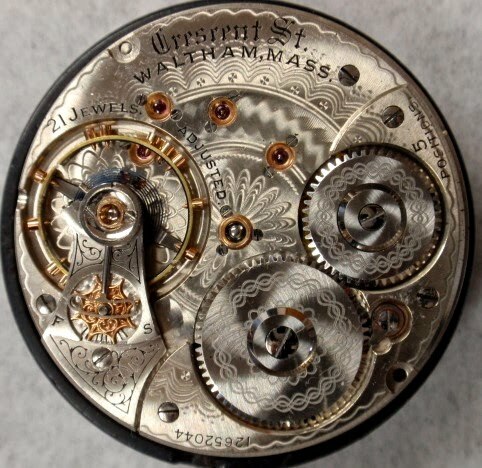 On the movement to the lower right, s/n 12652044, it is interesting to note the "Groove", which does not appear on Model 92s with consistency until the 17 millions.